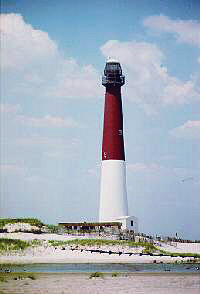 The New Jersey Lighthouse Society (NJLHS) was formed in 1989 as a state chapter of the United States Lighthouse Society. 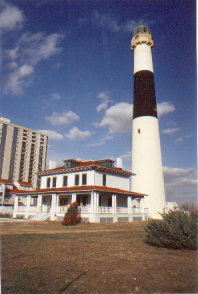 In 1994, the chapter became the New Jersey Lighthouse Society, one of the largest regional lighthouse societies in the United States. The society counts among its membership more than 1000 people throughout the United States and the world. 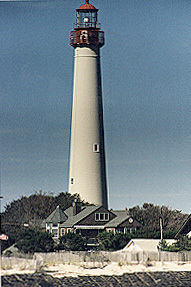 lighthouses of the Garden State. Please explore this website and learn more about NJLHS. Thanks for visiting. Outreach programs for 2019 are posted. presentation from the holiday meeting. Visit the updated Preservation page. Finns point Gift Shop now a reality. View past issues of the "Beam". Previous Meeting minutes are now online. Join us in our Challenge! More than half of the coastline of the USA is in Alaska. Antartica is the only land on our planet that is not owned by any country. There are no natural lakes in Ohio, everyone is manmade. WHERE IN THE WORLD IS THE LIGHTHOUSE ! third tallest in the United States. -- The boardwalk was the first built in the United States. Built in 1870.
pipes, it is the loudest and largest musical instrument in the world. -- The Miss America competition was originated here back in 1921. NJLHS, PO Box 332, Navesink, NJ 07752-0332. Many files on this site are in PDF format. and other material are the property of the NJLHS. All rights reserved.